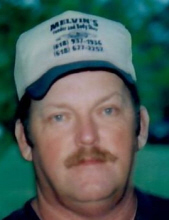 Michael W. Melvin, 67, of Thompsonville, Illinois, passed away Saturday February 9, 2019 in his residence at 8:00a.m. Michael is survived by his wife Karen Melvin; mother, Ruby Melvin; son, James Melvin; daughter, Amie Schuessler; brothers: Steven (Suzanne) Melvin, Jon Melvin, and Tony (Karen) Melvin; sisters: Susan (Steve) Squibb, Janet Melvin, and Kim (Jerry) Bonacorsi; two grandchildren, Kyle Melvin and Anastasia Schuessler; great granddaughter, Nora Melvin; several nieces and nephews. Funeral services will be held at 2:00p.m. on Tuesday February 12, 2019 in Union Funeral Home – West Frankfort, Illinois with Minister Guy Webster officiating. Burial will be in Tower Heights Cemetery – West Frankfort, Illinois. Visitation will be 12:00-2:00p.m. in the funeral home prior to the service. Memorials may be made to the Wit & Wisdom – West Frankfort, Illinois or to the Disabled Veterans. To send flowers or a remembrance gift to the family of Michael Wallace Melvin, please visit our Tribute Store. "Email Address" would like to share the life celebration of Michael Wallace Melvin. Click on the "link" to go to share a favorite memory or leave a condolence message for the family.